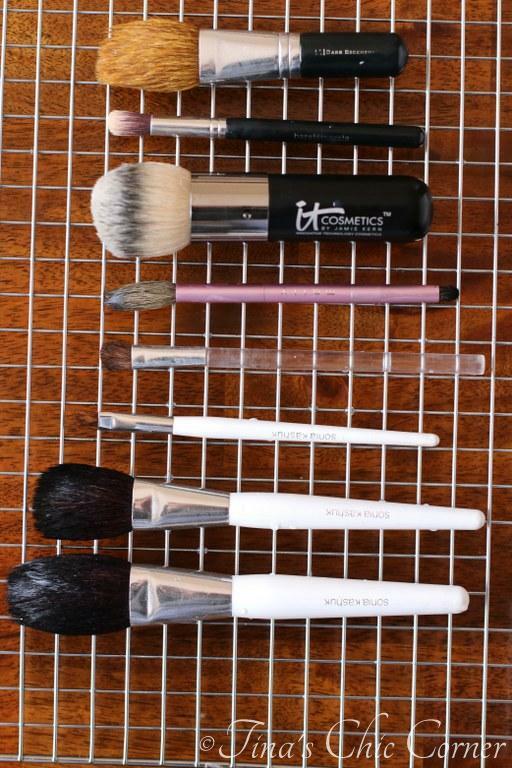 Do you know how to clean your makeup brushes? 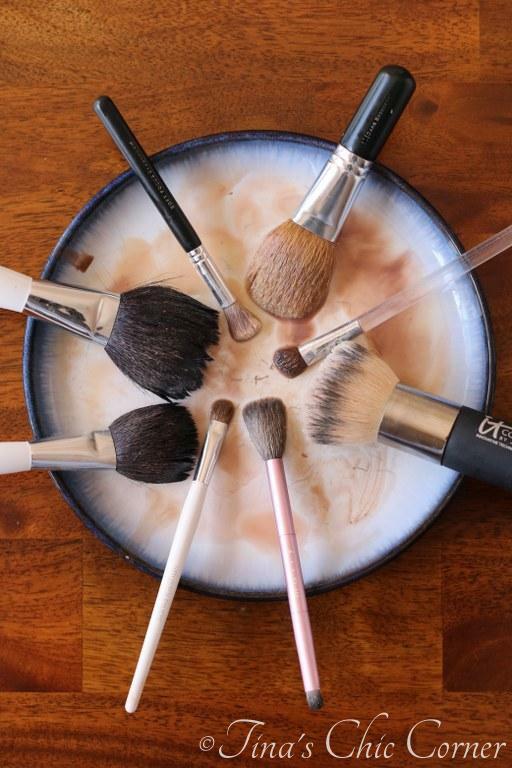 Wait, maybe we should start with a simpler question… do you know that you should clean your makeup brushes? 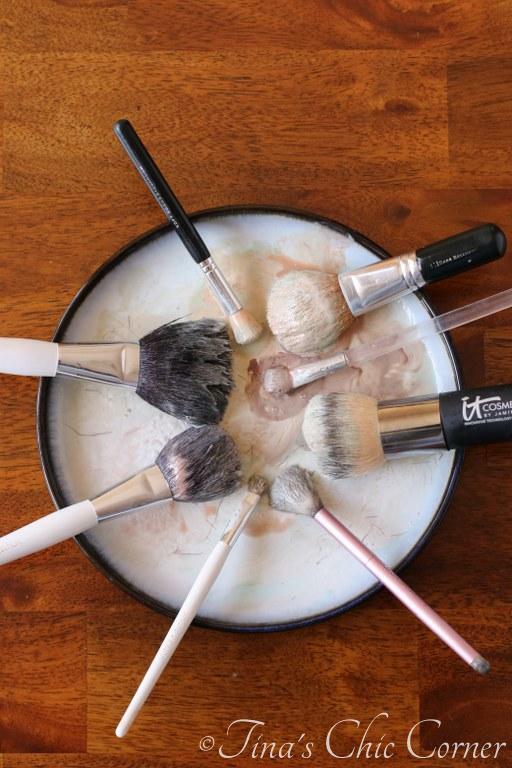 Unless you like throwing away expensive brushes (because let’s face it, even the cheap ones can be pretty pricey), you should clean your makeup brushes. When you clean them you’re getting rid of old makeup, oil, dirt, and even bacteria. Gross. Usually I clean my makeup brushes with hand soap and felt it did the job. I’ve heard some people use baby shampoo instead, but I’ve never tried that because I don’t have it in the house when the mood strikes me for cleaning my brushes. Also, I figure if hand soap isn’t going to get the job done “properly” then what hope does baby shampoo have? Yesterday morning I found a new way to clean my makeup brushes using oil and dish soap. It was past time to give my brushes a cleaning and now I had a new way to try. Having now tried it, I can honestly say I love this method and of course I have to share it with you! It’s so easy and it really works. My brushes feel softer than if I’d cleaned them with just hand soap. Heads up on the part when you use the dish soap… Make sure you really, really, really get the bristles nice and soapy. Otherwise your brush will be oily even after it dries. In fact, on the thicker brushes, I’d recommend a second round of dish soap cleansing in order to make sure you’ve removed all of the oil. * The amount of oil and dish soap depends on how many brushes you’re cleaning. By the time you’re done you should expect to have used roughly twice as much soap as you did oil. Step 1: Pour the oil in plate #1. Step 2: Pour the dish soap in plate #2. Step 3: Gently rub your brush in the oil (plate #1). You’ll see makeup residue start to come off immediately. Gross. I have’t washed my brushes in… I can’t remember, maybe 3 or 4 months. It looked like I’d never cleaned them. Step 4: Gently rub your brush in the dish soap (plate #2). 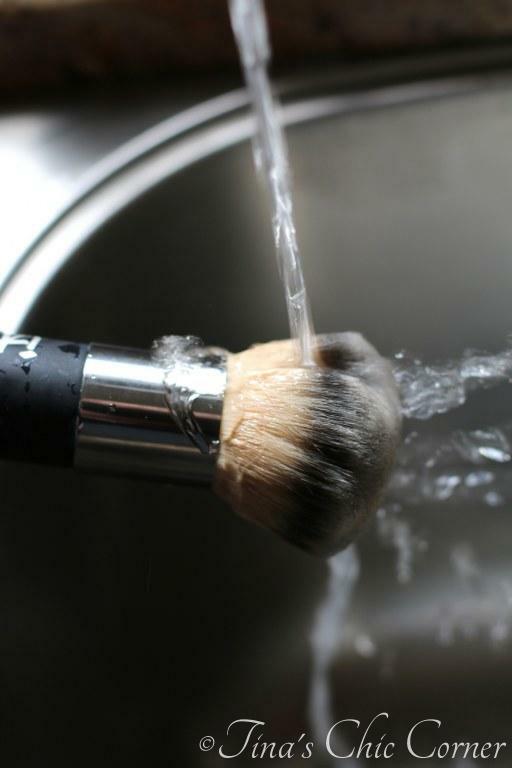 Your brushes will get all nice and sudsy and you will still see makeup residue on the plate and brush. Still gross. Step 5: Rinse each brush thoroughly under room temperature or cool water until the water runs clean. Gently massage the brush in your hand to help get every nook and cranny. Have patience because this step may take a while. Seriously, if you think it’s done, rinse it some more. Step 6: Place them on a wire rack to dry. Make sure they are 100% dried before putting them away or using them. If you don’t have a wire rack then a paper towel will work too. I like the wire rack better because the air gets underneath the brush. 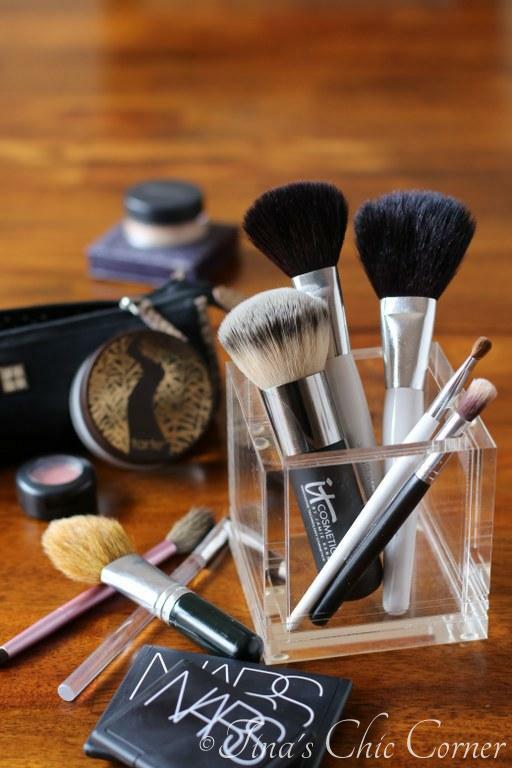 Step 7: Ta Da… clean makeup brushes! You’re supposed to clean your makeup brushes once a week. I’ll be honest, I’m not sure I’ll be able to keep to that schedule but I’ll try my best to do it more often than I used to. I never heard of using oil, but I can see what a great job the mixture of the two did on your brushes. Thanks for this information.